The 99 Cent Chef loves rainy days in LA. The dramatic build up; the sounds of rain and the clean air that follows. Taking it all in at the kitchen window, while grilling a cheese sandwich, is the perfect pairing. 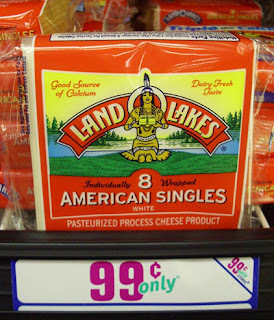 In the past few months, I've found an abundance of cheese at the 99c only Stores, including Monterey Jack, European Swiss, French Petite Buche, Imported Austrian and good old American. But beware; they stock cheese made with vegetable oil, an abomination; I do have standards. For a miscegenation of cheeses, try combining three cheeses to make a delicious rainy day grilled cheese sandwich. 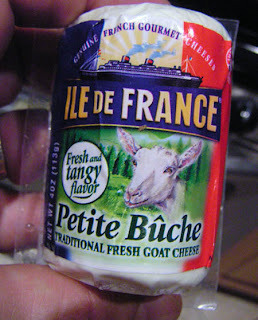 French goat cheese blends well with American and Swiss. For color, layer white and yellow cheese. 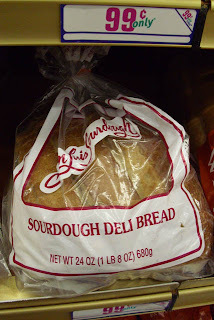 A sourdough or multi-grain bread works well, as toasting brings out the flavor of the grains. I like to grill my sandwich in a little butter. Use plenty of cheese, as nothing is more pleasing than a gooey grilled cheese sandwich. I've collected rainy day video footage for awhile now. Enjoy the montage. Play it here. The video is 2 minutes. Do you have a favorite rainy day recipe? To embed or view the Chef's video on youtube, click here..
Yeah! I'm feeling kinda moist today and this really warms the inner core. 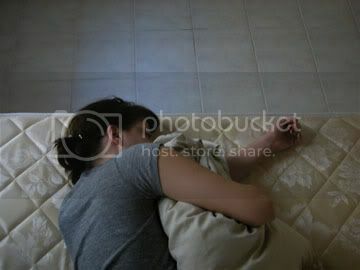 Just came across your blog and, holy crap!, I'm in love! The 99 cent store is one of the reasons I moved back to LA! I'm an upper midwest purest. White bread and velveeta. Of course I stray and use swiss and rye quite often. Rye, gruyere and cheddar is nice too. Of course you eat it ONLY with cream of tomato soup.